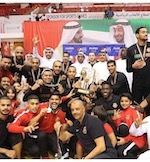 Tunisia's ES Rades conceded defeat to Lebanese Homentmen (80-99), at a 29th Dubai International Basketball Championship Group B day-3 game played on Sunday night. ES Rades, who had defeated another Lebanonese team Al Riyadi 82-63, will take on Ball Above All team (expat team in UAE) on Tuesday at a round 1 last game. In Group A, Tunisia's ES Sahel also conceded defeat to Lebanon's Sagesse 79-92. ES Sahel had defeated Morocco's AS Sale 113-109 on Friday and secured a narrow win over Philippines San Beda 79-78 on Saturday evening. Top two finishers in each group will qualify for the semi-finals. 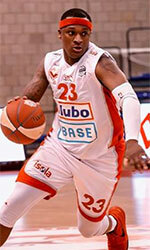 Sagesse (Lebanon) - Ball Above All (UAE) 95-72.